New entrants only shows the number of students who started their course in a given academic year. Continuing students only shows the numbers of students who are not new starters in a given academic year. Writing up/under exam – postgraduate students who have completed the minimum requirements of their course but who have either not yet submitted a thesis of have not yet had their degree approved. This dashboard has been developed by the Business Information Team from the Planning and Resource Allocation Office. 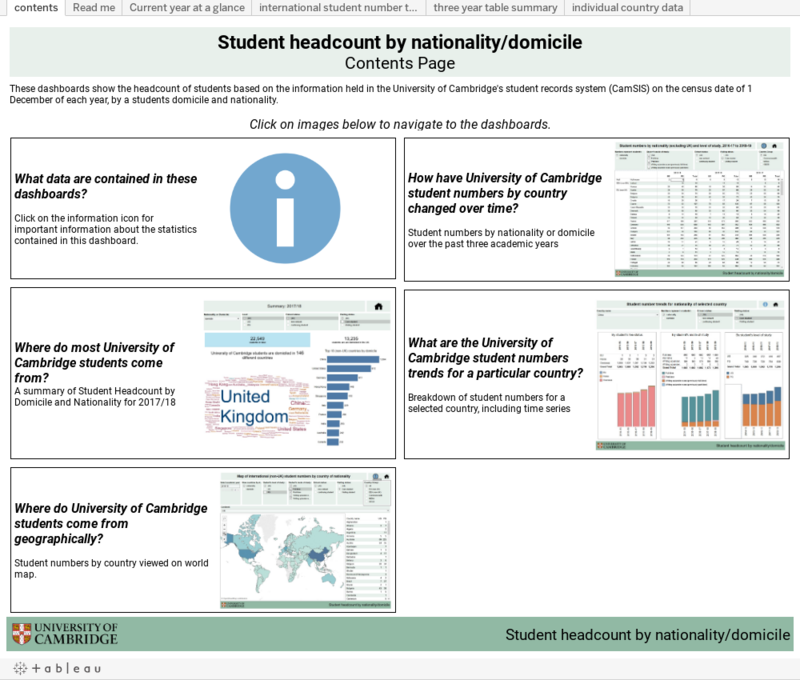 The numbers are headcount of students and are based on the snapshot of the information held in the University of Cambridge's student records system (CamSIS) on the census date of 1 December of a given academic year. The numbers include matriculated students participating in exchange or junior year abroad programmes. The numbers exclude students who were not active, e.g. intermitting/suspending their studies, on the census date. Please note that students may be excluded from these statistics in order to comply with the Data Protection and Equality Duty Acts. If you have any questions about the numbers or would like to request a different breakdown of the data, please contact business.information@admin.cam.ac.uk.